Nine months after it first convicted 25 people in a landmark corruption trial, the Brazilian top court on Wednesday voted to allow retrials. 12 out of the 25 officials indicted in the mensalao or monthly-payment scandal, known as the trial of the century in Brazil, will now be able to appeal against the convictions. The scandal, uncovered in 2005, saw millions of dollars siphoned from public funds to pay off politicians and buy support for former Brazilian President Luiz Inacio Lula da Silva’s coalition. Among the accused is Jose Dirceau, Lula’s former chief of staff. Wednesday’s decision by the Supreme Court is seen by many as a major setback for efforts to hold Brazilian officials accountable for wrongdoing in the corruption and racketeering cases. The trials are now expected to carry on well into 2014 when presidential elections will also be held in the country. Saying the court will not cede to demands of the populace, judge Celso de Mello who cast the decisive vote on Wednesday said “the judges cannot yield to the popular will, to the masses”. 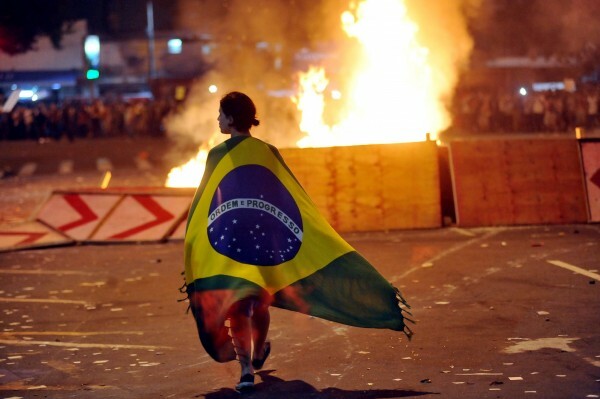 Anger over corruption and substandard services directed at the entire political class led to violent demonstrations in recent months in Brazilian cities. Reacting to the Brazilian “autumn of discontent“, President Dilma Rousseff has taken measures like enacting a tough anti-bribery law and holding a referendum on political reforms. Brazil was placed 69 on the 176-nation corruption index of Transparency International in 2012.